Medical practices have a vested interest in protecting—and growing—their revenue, especially as patient payment responsibility increase. The seemingly straightforward task of collecting patient payments can, in reality, be an arduous and complicated ordeal if the right front- and back-end systems aren’t in place. Observing and analyzing key performance indicators (KPIs) can help your practice measure performance from every angle, so you can identify where there are issues in your processes. Then, you can take targeted action to correct them—and boost your revenue. Here are five ways KPIs can help identify revenue opportunities across every workflow inside your practice as well as tips for finding useful data that might be hiding in your practice management (PM), revenue cycle management (RCM), and electronic health record (EHR) systems. We’ll also share our favorite metrics for monitoring key growth indicators and moving the needle across all areas of the practice. To increase the revenue you collect from patients, your front desk staff needs to verify the eligibility of every single patient for every appointment. In addition, staff should confirm how much of a patient’s deductible has been met, so they know how much to collect. Technology makes it much easier to collect prior balances and take prepayments, set up payment plans, and identify patient eligibility information upfront. For example, Advanced Urology Institute has implemented kiosks and iPads for patient self-service, freeing up staff to spend time verifying eligibility and securing prior authorizations. If the payer requires authorization and the authorization is not obtained, the claim will be denied. 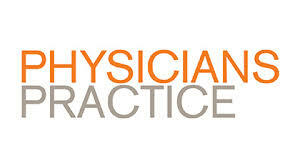 Consequently, your practice won’t be able to collect that money. To ensure this KPI is being met, look at your denial codes to see what percentage of your denials are due to a lack of authorization. Find them, fix them and, more importantly, change the behavior causing them. Eventually, you will have zero denials because of authorization absences. Another KPI you can use to increase your practice revenue from the front end is to review your cancellation rate. A high cancellation rate leads to decreased productivity, so it’s a good idea to get familiar with what percentage of your appointments are canceled and, more importantly, why they’re being canceled. Was it because the patient isn’t satisfied? Was the appointment not needed after all? Did the provider cancel the appointment because of last-minute changes? Make sure you assign the appropriate cancellation reason for every visit, so you can identify trends that are causing decreased productivity and lost revenue. Once identified, you can analyze what the reasons for cancellations and hone in on what behavior modification can decrease them. If you have a high cancellation rate, make sure your practice is utilizing a wait-list functionality. Make sure to give patients the option to reschedule appointments electronically themselves so they don’t have to worry about calling during standard business hours. On the back end, bill lag can indicate unbilled charges and lead to higher accounts receivable (AR). A bill lag is the length of time between when the claim is submitted compared to the date of service. A practice should strive to bill all services within one or two days from the date of service. To check this, look at your billed date compared to the date of service to determine your bill lag. Charge lag is also an indication that it is taking your practice longer to enter charges. If you have unbilled encounters, your charges are not being entered into the system in a timely manner. To find these, look at any appointments with have no charges entered. You can determine your charge lag by running a report after all encounters are fulfilled and compare the charge entered date to the date of service. Charge lag should ideally be zero, meaning charges entered are billed same day but no more than two days from the date of service. Ideally, you want your denials to be less than 2 percent of the claims that go out the door. The higher your denial rate, the more resources it takes to follow up on the denials, which then puts stress on the staff. If your practice can’t follow up on denials, your revenue and profitability will suffer as a result. Advanced Urology Institute has found that the first pass resolution rate, in addition to denial percentages, is a valuable KPI for increasing revenue. When the first pass resolution rate is high, fewer resources are needed. That means staff have more time to focus on other tasks such as revenue-generating initiatives. Your first pass resolution rate can go hand in hand with your denial rate and should be, ideally, 96 percent or higher. This means that 96 percent of the claims are getting paid on the first submission. If your first pass resolution rate is lower than that, the first thing you can do is analyze the denial reasons by provider and by payer. Essentially, days in AR indicates how long it takes you to get paid for your services. Ideally, it should be less than 30 days, depending on your payer mix. If it’s higher, this could indicate a number of things. It could mean you have a higher than normal denial rate, you have slow to pay payers, or your practice isn’t collecting patient payment at the time of service. This can happen when you have credentialing issues with a certain payer or a host of other issues indicating less than effective follow up. Every additional day in AR means a lower likelihood of getting paid. The chances of collecting patient money once it hits 90 days is less than 30 percent. If more than 15 percent of your AR is more than 120 days old, then you need to review them at the payer level to determine why different payers are taking so long to pay. Overall, AR over 120 days is a good indicator of the effectiveness of your front-end and back-end processes. At the end of the day, running a practice is a complex and ever-changing challenge, so identifying a handful of high-impact metrics to tackle can be a valuable first step. Verifying eligibility for every patient visit can pay dividends across many metrics. Understanding cancellation rates will lead to improve utilization of expensive resources. Reducing bill lag will improve your cash position, letting you invest in improvements throughout the practice. And proactively managing both denials and days in A/R ensures the financial health of the practice supports the core mission of any healthcare professional: to deliver outstanding patient care with the latest services and support. Patti Peets is senior director of revenue cycle management for cloud-based software provider CareCloud. Richard Wooten is the chief executive officer of Advanced Urology Institute, where he has grown the Oxford, Florida-based specialty group to 102 providers across 40 locations around the state. This article originally appeared in Physician’s Practice.